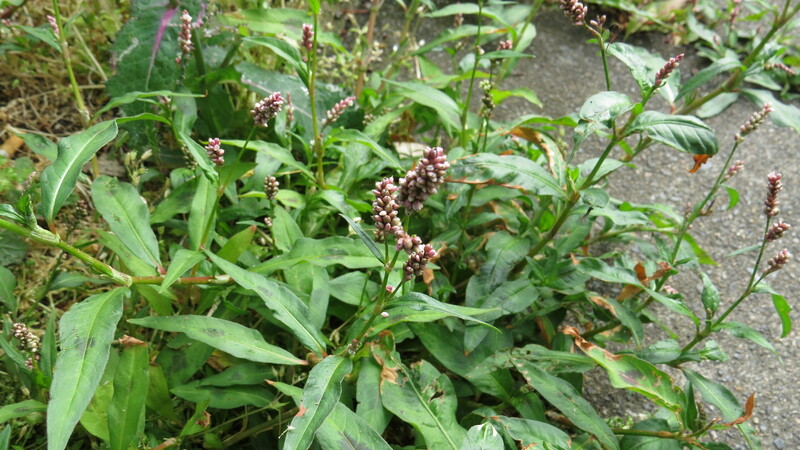 Dear Readers, this is a plant that most people would automatically think of as a ‘weed’. I found it growing at the base of a tree on my road in north London, and recognised it by the black blotches in the middle of the leaves (‘maculosa’ means ‘spotted’), and by the little hairs on the ochrea. I love learning new botanical words, and so I am glad to share with you that the ochrea is the tube that surrounds the stem where the new leaves emerge. 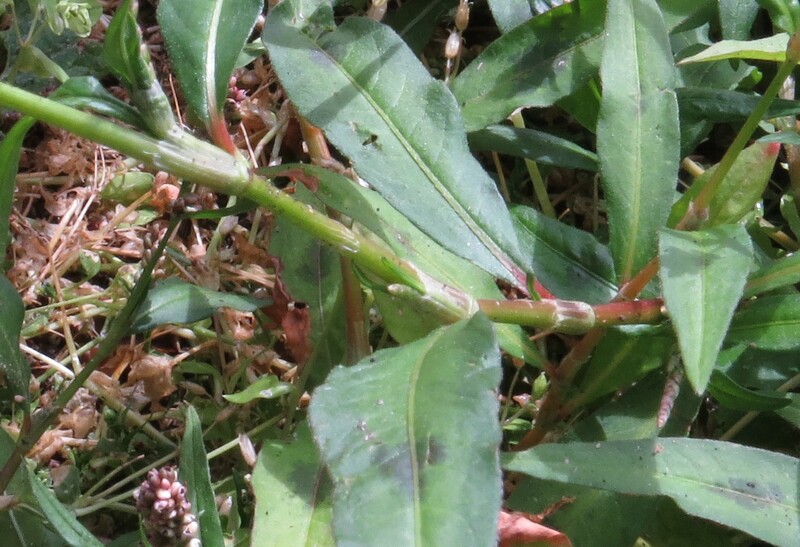 Some of the stems are red, hence the common name for the plant. 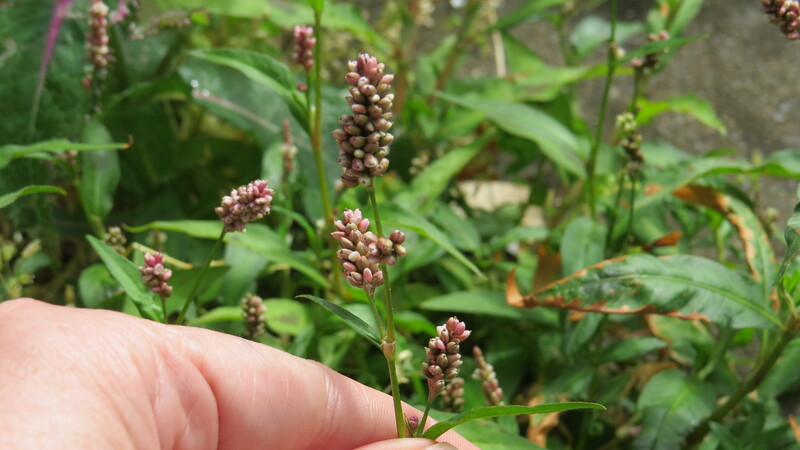 This is a native perennial and a member of the same family as Japanese Knotweed (the Polygonaceae). It is rarely found far from human activity, and seems to flourish on our footpaths, by the sides of canals, and on cultivated land. It is said to hate lime, and to prefer acid peaty soils, but the one growing on the London clay that I saw seemed to be doing well regardless of what my plant book says. I do wonder if this story was also the source of another alternative name for Redshank, which is Lady’s Thumb. Redshank is said to be edible, but bland. 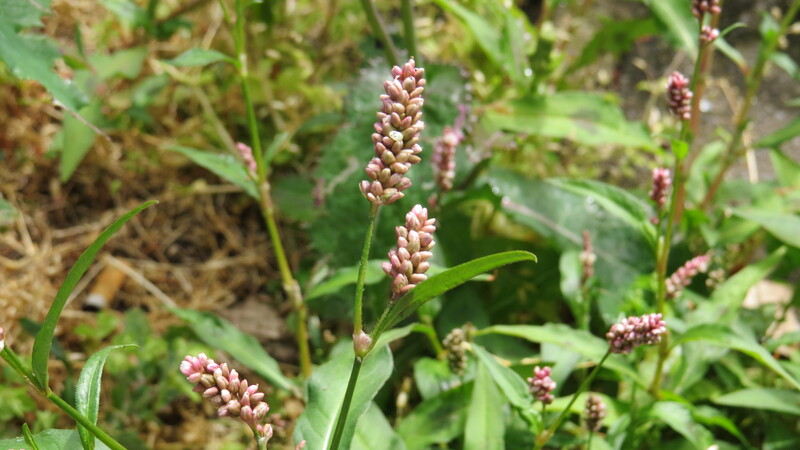 However, it is a rich source of vitamins and minerals, as most wild plants are. There are apparently reports that eating it can cause photosensitivity (i.e. a tendency to burn in even moderate sunlight), and as it contains oxalic acid, like all the rest of its family, I would beware if you have a tendency to kidney stones. I personally won’t be picking any Redshank from my road, where the bottoms of the trees are regularly sprayed with weedkiller and visited by dogs, but in case you fancy a recipe, here is one from the rather wonderful Eatweeds website: Redshank and aubergine spring rolls. Bon Appetit! This entry was posted in London Plants on July 1, 2015 by Bug Woman. I’ve read that an infusion of the leaves (how many, I wonder?) in a hot bath relieves rheumatic pain. The Virgin Mary story is nice as she sounds a bit tetchy and human. Interesting, Ann! You’d probably need a lot of leaves. And yes, the Virgin Mary does sound as if she was having an off day. I can just imagine her harrumphing. Rheumatism…hmmm…wonder if it’s any good for sciatica? Could do with a bucketload! Thanks for the article! Ouch, sympathies for the sciatica, it’s infernal….have you tried acupuncture? Worked for me a few years back, when I couldn’t stand up for longer than ten minutes without weeping because of the pain…. We just found this is our garden in the UK and we’re wondering whether to keep it or remove it, so this was a useful read thankyou. We are trying to build a garden for wildlife. 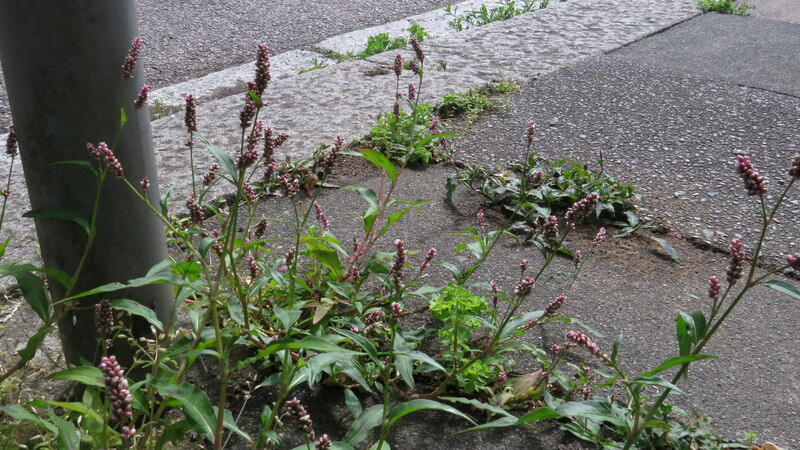 Do you know what insects, if any, this plant might attract? Hi Patrick, welcome to the blog, and thank you for commenting! I’ve not been able to find any insects which are specifically attracted to redshank, but I suspect that it doesn’t do any specific harm either. I guess it depends on what would grow in redshank’s place if you removed it. I am most heartened by your plan to build a wildlife garden – our insects and other creatures need all the help they can get! Thanks for your reply. The garden is certainly a lot more interesting than the boring lawn we inherited a couple of years ago. We had our first marbled white butterfly last weekend :-). I’ve got my eye on some eggs on the underside of a sunflower leaf which were green, but have gone through purple to brown as the larvae have grown. We have cinnabar moths on a ragwort which planted itself in the ‘mini-meadow’ we just left to it’s own devices, it’s surprised me how much happens in such a short time! How lovely, Pat! And I agree, it’s amazing what comes when you create the right conditions. Do you have a pond? It’s a great way to increase the variety of insects and amphibians that turn up…. The garden is only 90m square so we only have a washing up bowl in a hole at the edge of the mini meadow. No amphibians yet, but lots of birds drink in it in this hot weather. Pied wagtails like to moisten the insects they catch in it. We added a couple of plants (water spearmint) and built ramps out of stones so things can get in and out.